Eastwood’s MP is to host a special debate on the fraught subject of bereavement leave for families who have lost children. The move by Paul Masterton MP follows concern that the Queens Speech made no mention of a Conservative Party manifesto commitment to “ensure all families who lose a baby are given the bereavement support they need, including a new entitlement to child bereavement leave”. As a member of the All Party Parliamentary Group (APPG) for children who need palliative care he now aims to highlight what he considers to be crucial issues by staging a Westminster Hall debate. Mr Masterton hopes the debate will raise awareness of the devastating loss of a child before Baby Loss Awareness Week next month (October 9 to 15). The APPG concern was later followed by a Government decision to back Tory MP Kevin Hollinrake’s Private Members Bills, to introduce two weeks paid leave. 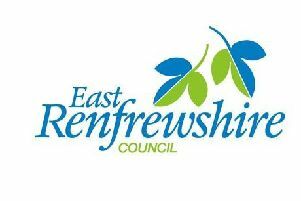 But the East Renfrewshire MP will use the debate to discuss the issues around bereavement support for parents, and to “continue to ensure the Government sticks to its word”. Mr Masterton is pictured, left, with (from left), Dr Caroline Johnson MP, Catherine McKinnell MP and David Linden MP.